Happy Father's Day to all the dads, step-dads, foster dads and those who play a dad-role!!! Today is also the official start of the summer season and I can't be more excited to share some inspired handmade summer beaded jewelry. When you think of summer, what's the first thing that comes to mind? Some might think of sunshine (of course! ), warm weather, the beach, warm sand between your toes, swimming...or shells and starfish, for the seashell collectors out there. No matter how young or old we are, a stroll along the beach will always give us that special feeling of excitement as we discover all the beautiful ocean treasures that have washed ashore. 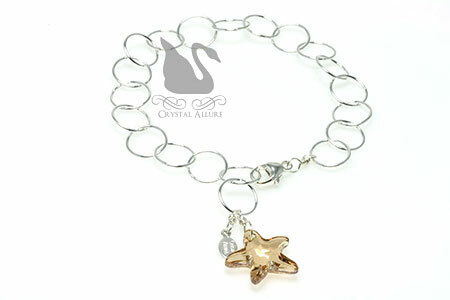 Inspired by those memorable walks on the beach are these lovely crystal starfish charm bracelets. This handmade summer jewelry charm bracelet features a shimmering golden shadow Swarovski Crystal Starfish charm, wire wrapped to a 'swirling ocean' of sterling silver floating circles chain. Finished with signature jewelry tag this bracelet is fully adjustable up to 7-3/4". A beautiful alternative to traditional bridal jewelry and perfect for the beach bride is this handmade charm bracelet from the Crystal Ice Jewelry Collection. Design features a luminous aurora borealis (AB) Swarovski Crystal Starfish charm, wire wrapped to a 'swirling ocean' of sterling silver floating circles chain. Finished with signature jewelry tag, bracelet is fully adjustable up to 7-3/4". 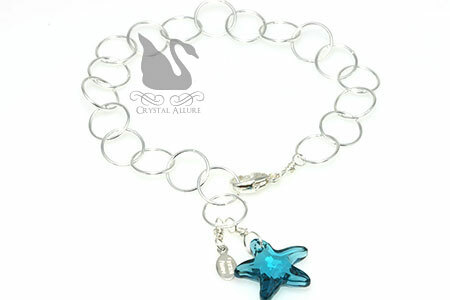 Another colorful summer bracelet features an ocean blue indicolite Swarovski Crystal Starfish charm, wire wrapped to a 'swirling ocean' of sterling silver floating circles chain. 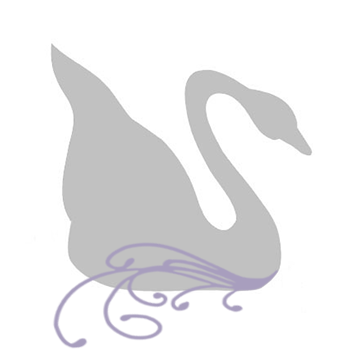 Finished with signature jewelry tag and is fully adjustable up to 7-3/4". Pair these elegant crystal bracelets with the coordinating summer beaded jewelry necklaces, coming soon.